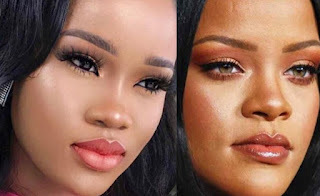 Fans of Big Brother Naija Ist runner-up, Cee-C claim she bears a striking resemblance to international superstar, Rihanna . Well, Taking a closer look at some of their photos, it might just be true. What do you think?